Argonne National Laboratory (retired); Adjunct Lecturer, Harper College in Palatine, Illinois; ACT tutor at the Huntington Learning Center in Glen Ellyn, Illinois. 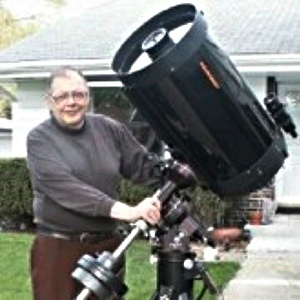 "I joined the AAVSO in 1962 after reading an article by Clint Ford in the December 1961 issue of Sky & Telescope. I was amazed that one could contribute to science from his/her own backyard. Variable stars and the AAVSO has been a passion for me. I am happy to be able to contribute to this wonderful organization in any way possible."